This 16th marks the 25th year of passing of Malayalam cinema’s only Evergreen Hero, and the Kozhikode-based Prem Nazir Samskarika Vedhi, as with the previous year is organising a 3-day extended tribute to the actor. Maybe a quarter century is an auspicious-enough number for the powers-that-be, that there has been celebrations galore announced by the state machinery to remember Prem Nazir. Minister for Culture, KC Joseph has announced that the government is still “searching” for a suitable location in Thiruvanathapuram to erect a life-size statue of the actor. 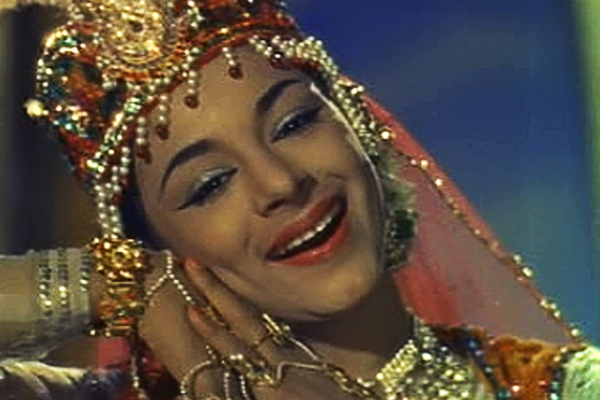 The Kerala government has also announced the ‘Prem Sruthi-2014‘, a tribute jointly organised by the Department of Culture, Kerala Film Development Corporation, Malayalam Cine Technicians Association, Association of Malayalam Movie Artists, Film Employees Federation of Kerala, Film Chamber and the Prem Nazir Foundation. Coming back to the Prem Nazir Samskarika Vedi’s 3-day long tribute that kicks off on January 16, 2014, this year’s program include felicitating Director Sasikumar and actor Sudheesh, who completes 25 years in movies this year, who also hails from Kozhikode. 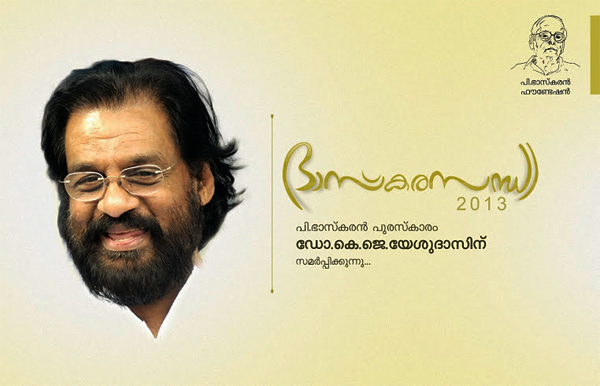 Ormayil Ragini | The 2013 edition is here. The “Ormayil Ragini” program, an audio-visual exhibition that celebrates the life and times of Ragini, from the legendary Travancore Sisters is holding its 2013 edition at Ernakulam. To be held on 14 -14th September 2013, as a two-day program, it also combines an awareness initiative on Breast Cancer that brutally cut short Ragini’s life, with talks on the causes and care of the medical condition. Continue reading Ormayil Ragini | The 2013 edition is here. The P Bhaskaran Foundation, based out of Kodungallur, is paying tribute to arguably the greatest combination of “Poet, Playwright, Lyricist, Actor, Broadcaster, Cine Director, Film Producer, T.V. Producer, Tele-caster, Intellectual and a Humanist” from Kerala on 25th February 2013, 4 pm onwards at the Police Station Grounds, Kodungallur. 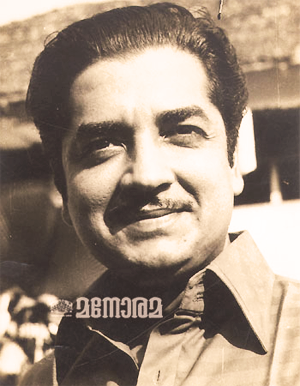 The Prem Nazir Samskarika Vedi, Kozhikode is organising a 3-day event celebrating the life and movies of the evergeen Prem Nazir, starting from January 16 till Jan 18, 2013, at the Town Hall. According to news reports in Malayala Manorama and The Hindu, KPAC Lalitha has been selected for the 2012 Thoppil Bhasi Award, as announced by the Thoppil Bhasi Foundation, and the award carries a cash prize of Rs.33,333 and a commemorative plaque. This award would be something very special with regards to KPAC Lalitha personally and professionally, for all those who have been following her performances on stage and onscreen from her KPAC days. Thoppil Bhasi, the legendary playwright, master of screenplay and film director, was her mentor, and a father figure to her. In fact she says it very clearly in a chapter dedicated to him in her autobiography “Katha Thudarum” that there are four names that she pays obeisance to in her morning prayers, even BEFORE she invokes her favorite gods – her parents, her husband and Thoppil Bhasi. I guess that should give a fair idea of the place the master craftsman’s place in her life. According to a report in Malayala Manorama, the Ragamalika – JAYAN Award for the year 2012, instituted by the Jayan Samskarika Vedi in memory of the late Jayan, actor, who passed away on 16 November 1980 has been awarded to Poojapura Ravi, one of Malayalam cinema’s most senior actors around today. From Deshabhimani.com | Madhu on his Early years, Thakazhi and Chemmeen. തകഴിയുടെ ചലച്ചിത്രമാക്കപ്പെട്ട പ്രശസ്ത കൃതിയാണ് ചെമ്മീന്‍. അതിലെ ഒരു പ്രധാന നടനായിരുന്നു താങ്കള്‍. എങ്ങനെ ഓര്‍ക്കുന്നു അക്കാലം. എന്റെ തുടക്കകാലമായിരുന്നു അത്. എന്നെ സിനിമയിലേക്ക് കൊണ്ടുവന്നതും വളര്‍ത്തിയതും രാമു കാര്യാട്ട് ആണ്. അദ്ദേഹം ക്ഷണിച്ചപ്പോള്‍ സന്തോഷം തോന്നി. ചെറുപ്പക്കാരനായ ബാബു ആയിരുന്നു നിര്‍മാതാവ്. ബാബുവിന് ഞാന്‍ ആ റോള്‍ ചെയ്യണമെന്ന് നിര്‍ബന്ധമുണ്ടായിരുന്നു. അക്കാലത്തായിരുന്നു എന്റെ വിവാഹം. എനിക്കത് വിവാഹസമ്മാനം പോലെ തോന്നി- 1964ല്‍. രണ്ടു വര്‍ഷമേ ആയുള്ളൂ സിനിമയില്‍ വന്നിട്ട്. ഹൈസ്കൂളില്‍ പഠിക്കുമ്പോഴേ ചെമ്മീനും പരീക്കുട്ടിയും മനസ്സിലുണ്ടായിരുന്നു. അഭിനയത്തിലും വായനയിലും താല്‍പര്യമുള്ള എന്നെപ്പോലെ അനേകം പേര്‍ ഈ കഥാപാത്രത്തെ മോഹിച്ചിരുന്നു. Continue reading From Deshabhimani.com | Madhu on his Early years, Thakazhi and Chemmeen. Salim Kumar has been honored with the 2012 Bahadoor Foundation Award.